In this lab, we are able to synthesize a novel substoichiometric TiO2 membrane and employ eletrochemical impedance spectroscopy to study membrane fouling and regeneration on REM. Substoichiometric TiO2 is known as Magneli Phases and the optimal composition, based on the conductivity, is Ti4O7. 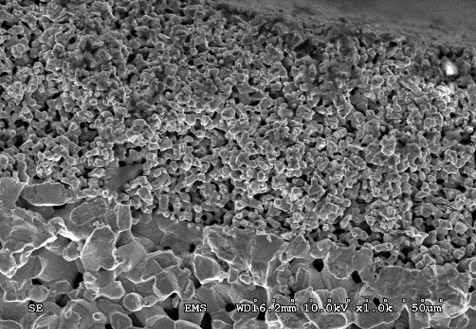 The ability of carrying current, membrane made of Ti4O7 is able to take advantage of electrochemical technology, such as electrochemical advanced oxidation and electrochemical reduction.